Green Chemistry is defined as the practice of chemical science and manufacturing in a manner that is safe,sustainable and non-polluting and that consumes minimum amounts of materials and energy while producing little or no waste material.Green chemistry, also called sustainable chemistry. The processing, production, use, and eventual disposal of chemical products may cause harm when performed incorrectly . The philosophy of chemical research and engineering that encourages the design of products and processes that minimize the use and generation of hazardous substances to humans , animals plants and the environment ,seeks to reduce and prevent pollution at its source. 1. Pollution prevention- It is better to prevent waste than to treat or clean up waste after it is formed. 3 Less Hazardous Chemical Synthesis – Whenever practicable, synthetic methodologies should be designed to use and generate substances that possess little or no toxicity to human health and the environment. 4. Designing Safer Chemicals – Chemical products should be designed to preserve efficacy of the function while reducing toxicity. 5. Safer Solvents and Auxiliaries – The use of auxiliary substances (solvents, separation agents, etc.) should be made unnecessary whenever possible & innocuous when used . 7. 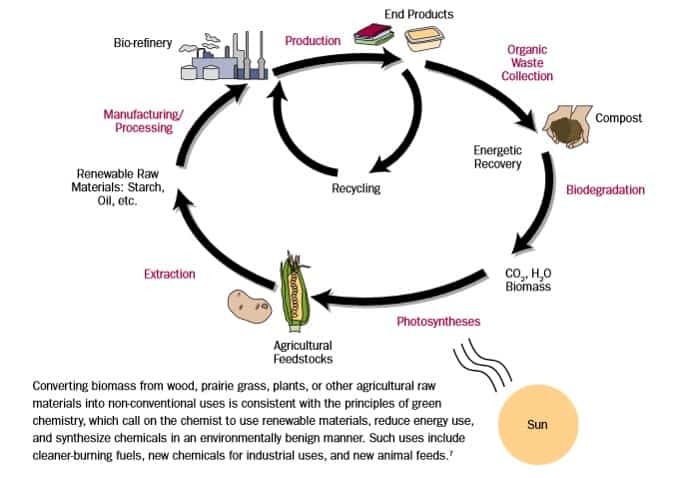 Use of Renewable Feedstocks – A raw material or feedstock should be renewable rather than depleting whenever technically and economically practical. 8. Reduce Derivatives – Unnecessary derivatization like blocking group, temporary modification of physical or chemical processes, protection or deprotection should be avoided whenever possible. 9. Catalysis – Catalytic reagents (as selective as possible) are superior to stoichiometricreagents. 10. Design for Degradation – Chemical products should be designed so that at the end of their function they do not persist in the environment and instead break down into innocuous degradation products. 11. Real-time analysis for Pollution Prevention – Analytical methodologies need to be further developed to allow for real-time in-process monitoring and control prior to the formation of hazardous substances. 12. Inherently Safer Chemistry for Accident Prevention – Substance and the form of a substance used in a chemical process should be chosen so as to minimize the potential for chemical accidents which include releases, explosions, and fires.